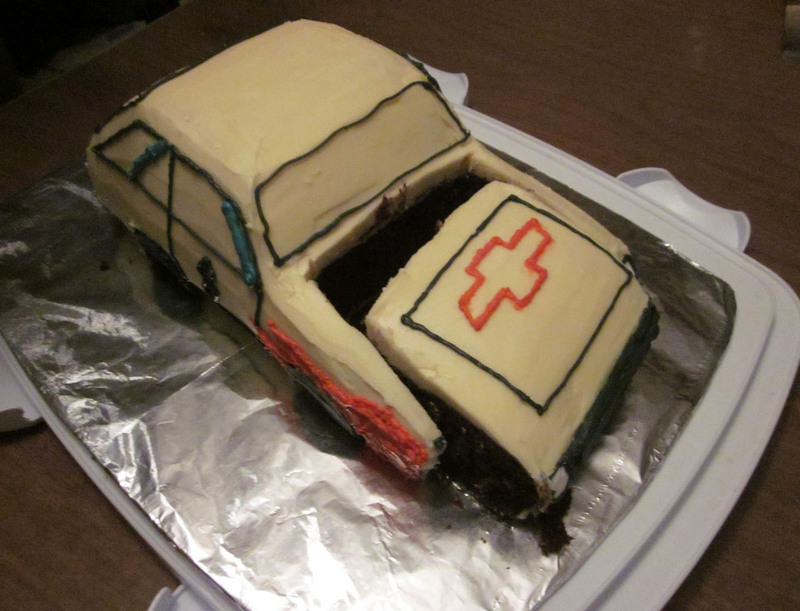 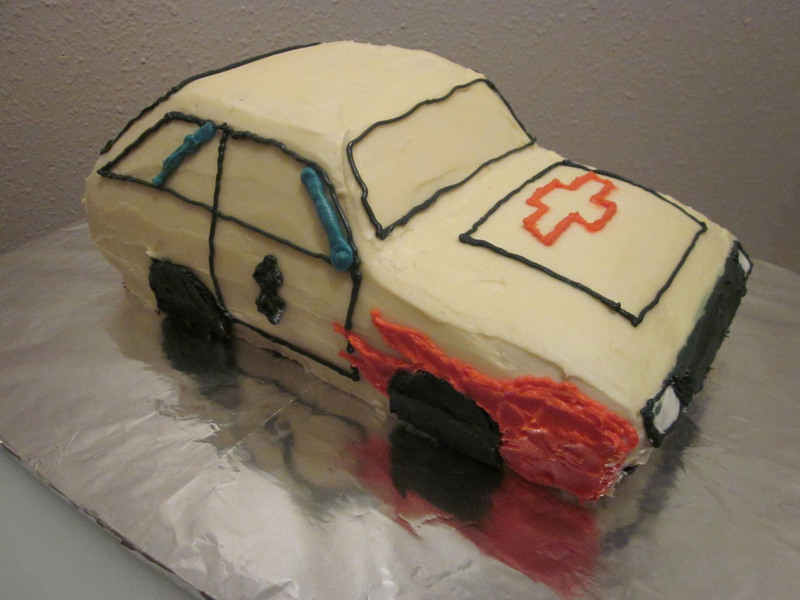 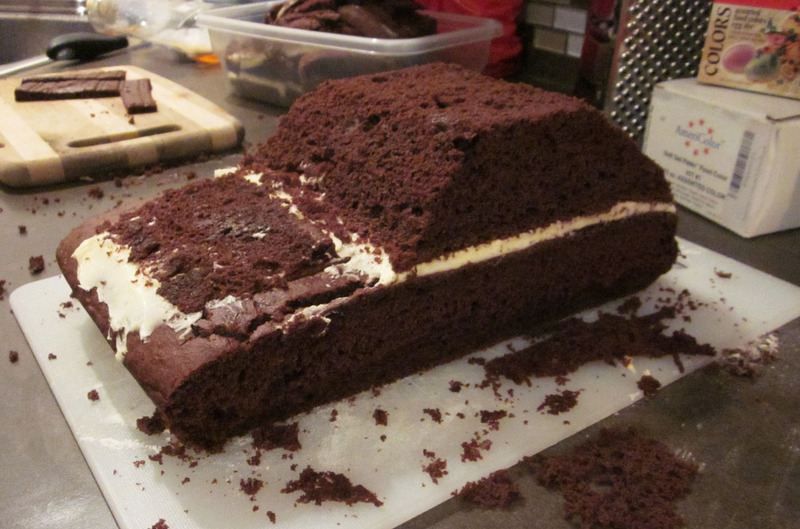 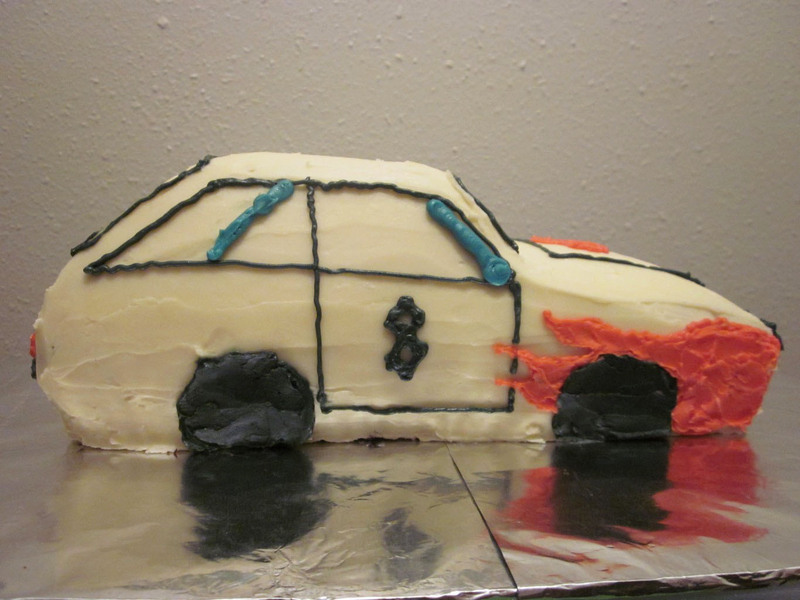 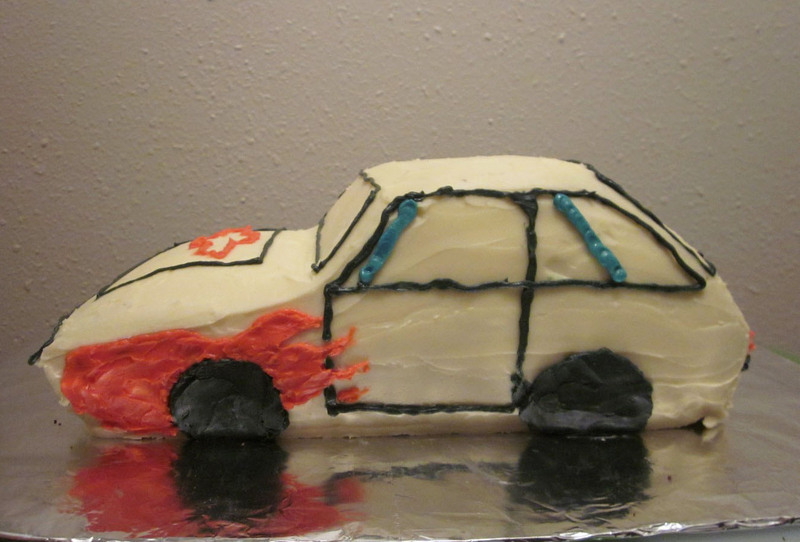 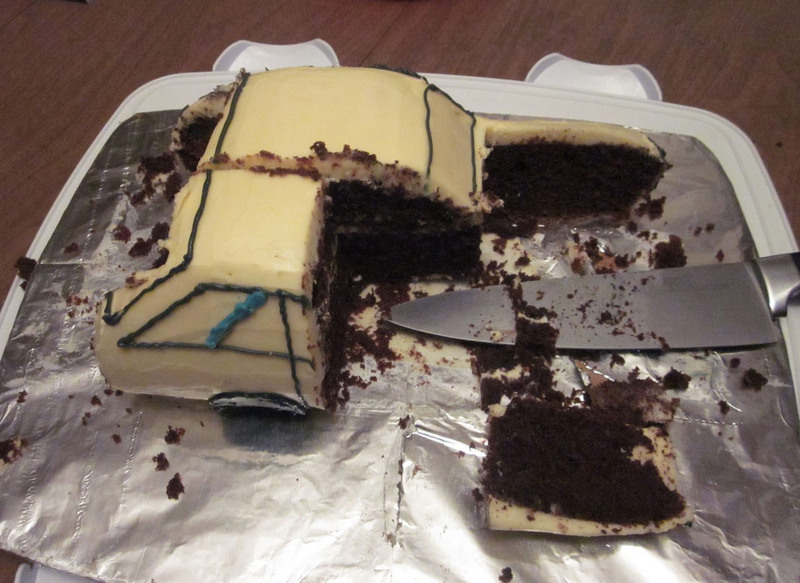 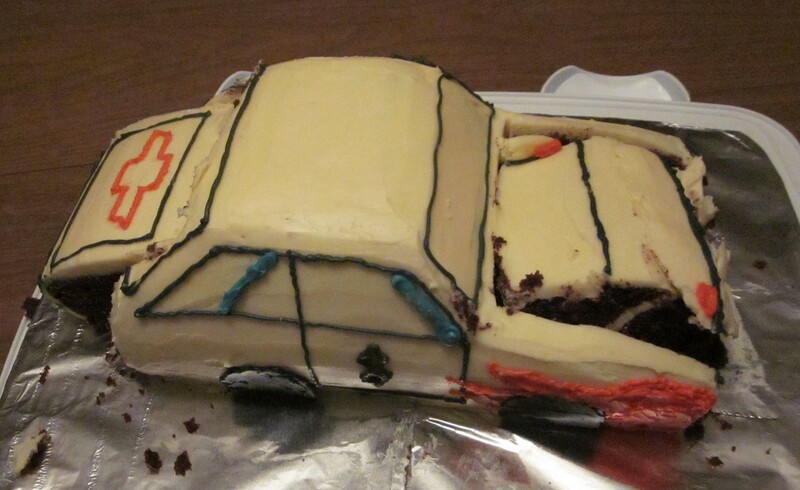 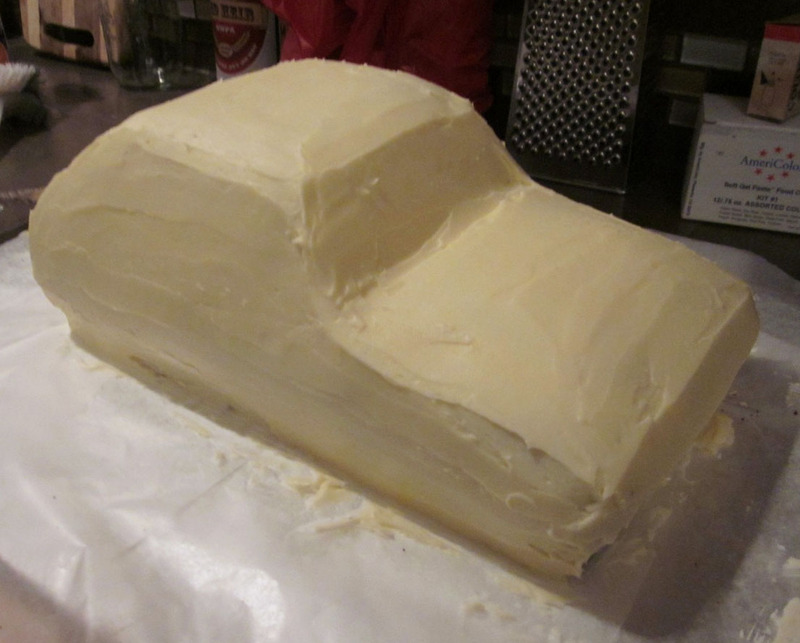 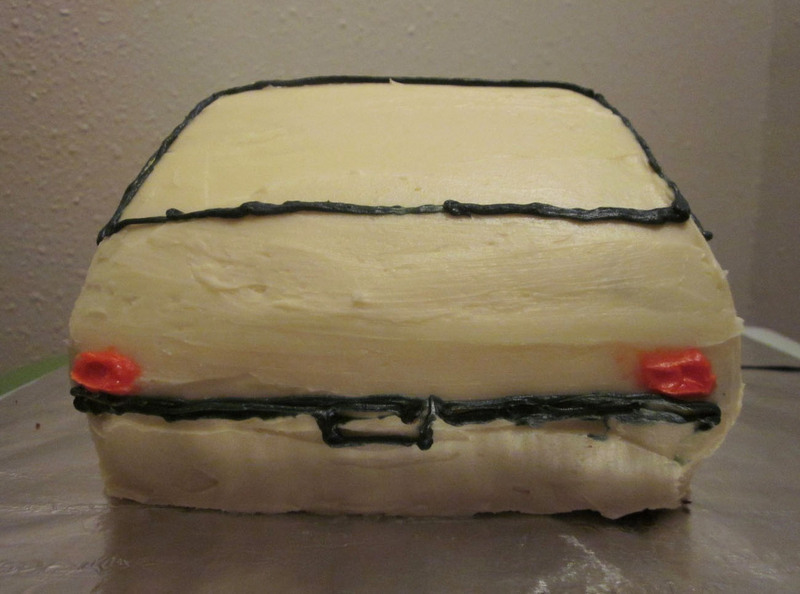 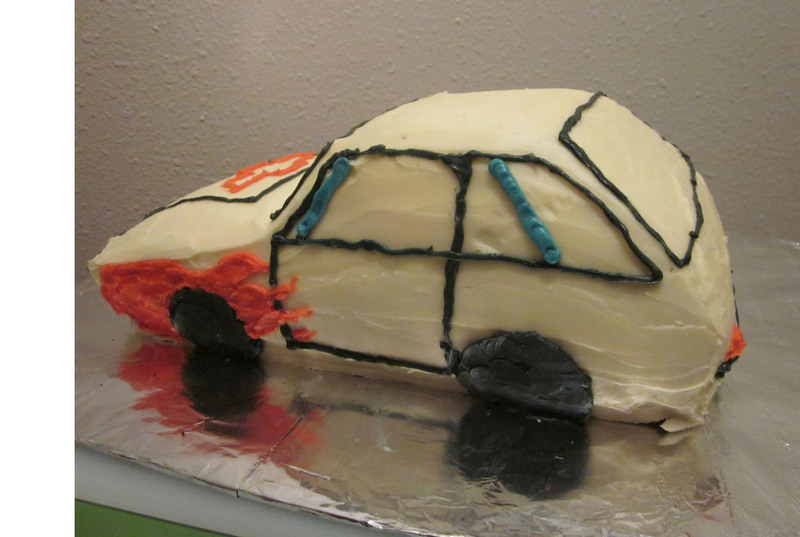 My boyfriend and I made a race car birthday cake, reminiscent of our friend’s actual race car. 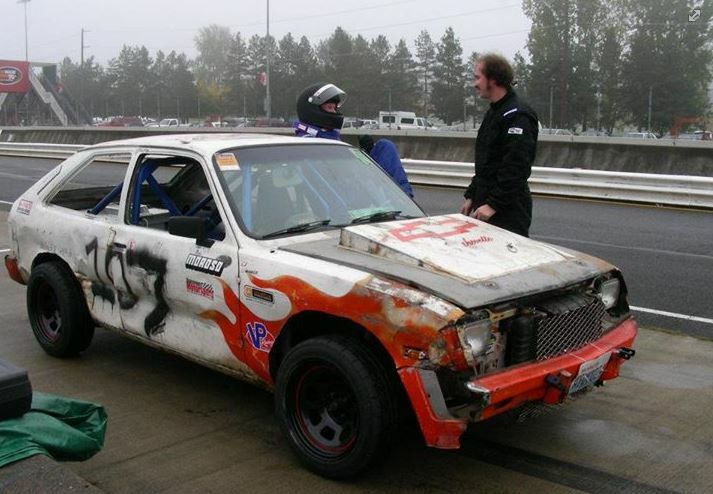 Our friend has been working on maintaining what started out as a 1986 Chevrolet Chevette suitable for racing at events, such as the ChumpCar race that takes place at Portland International Raceway. 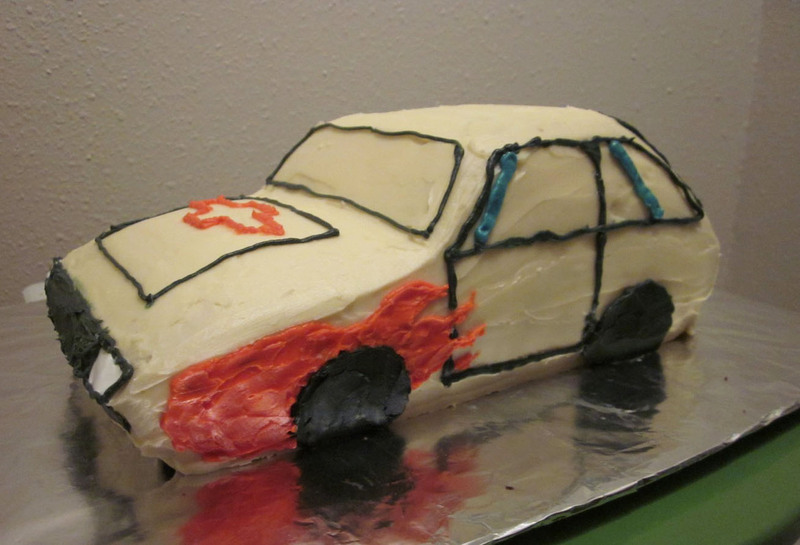 In his first race, he won the trophy for the “Spirit of ChumpCar”! 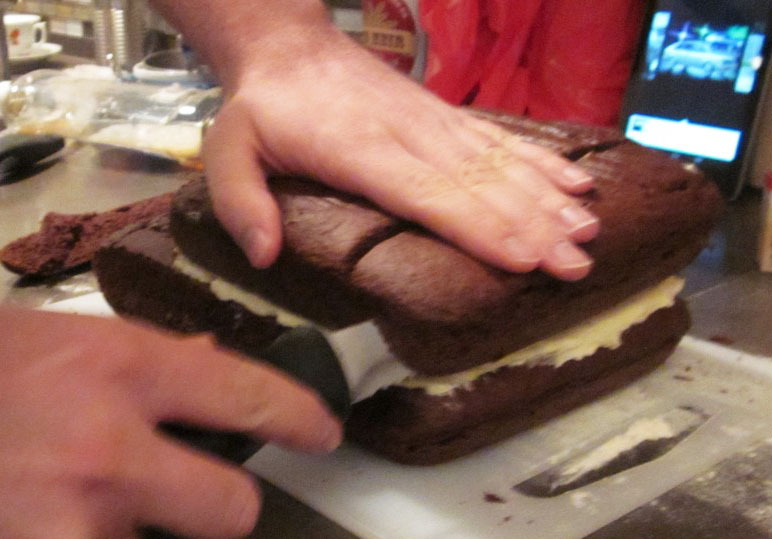 You can follow his facebook page here! 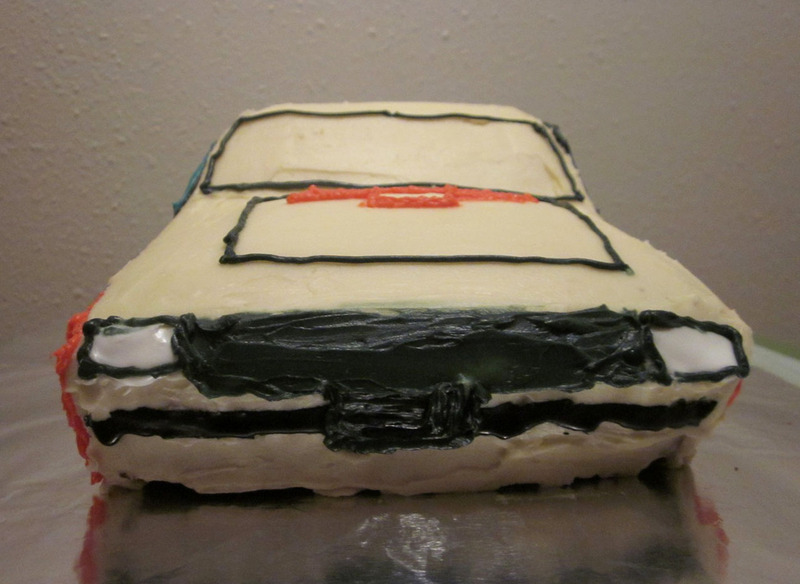 The car itself has gone through quite a series of transformations as far as paint jobs, decor, tires, other parts and engines are concerned; besides tires, he is even known for switching out engines mid-race! 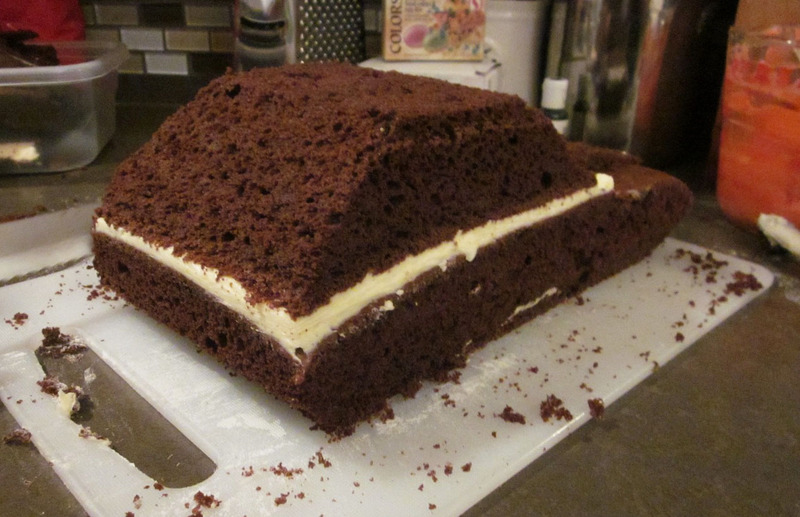 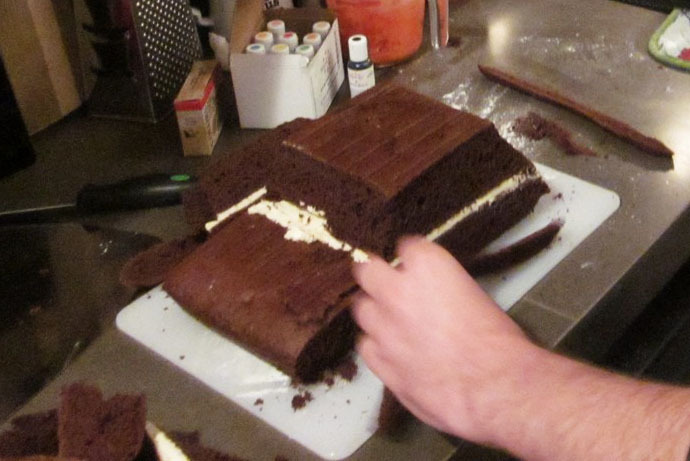 We sculpted the double-layer chocolate cake, and decorated accordingly…. 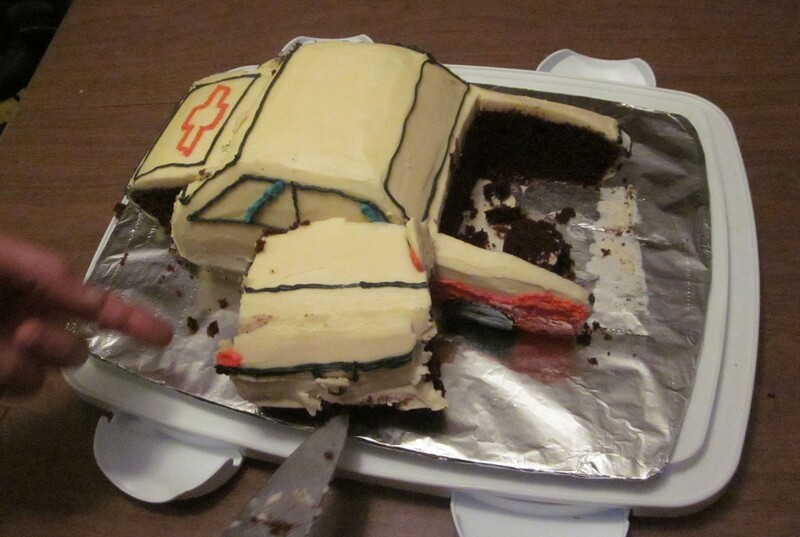 At the party, he made yet another engine switch…. 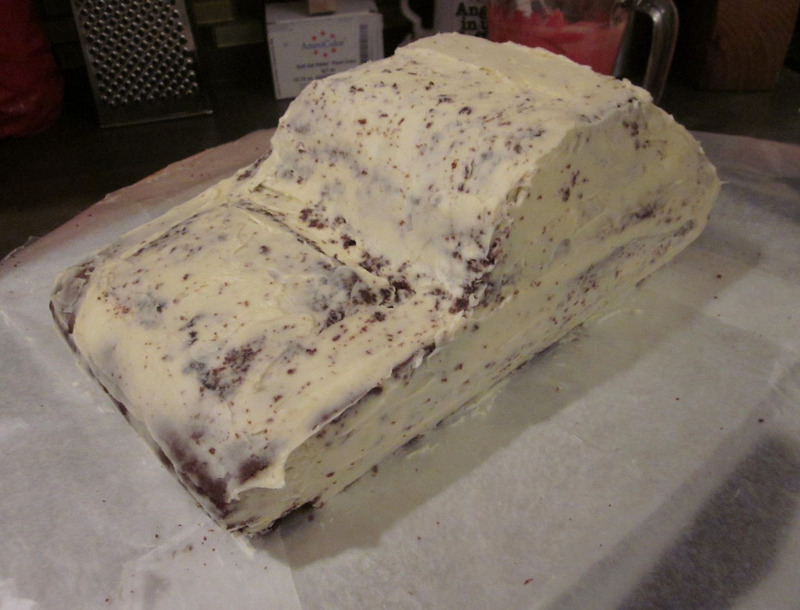 …this time with the hatch!